Loan fee fraud is the most common type of scam reported to the FCA. Our guide explains how loan fee scams work and how to avoid them. How can I protect my elderly relative from scams? 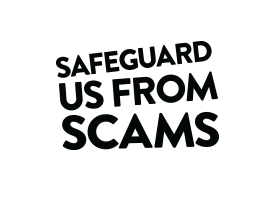 We cover the different types of scams the elderly may face and how you can help your older relative avoid them. The Driver Vehicle Licensing Agency (DVLA) is often used by scammers to try trick you into handing over your money or personal information by text or email. Find out the tell-tale signs and how to stay safe. Investment scams are getting harder to spot but there are some tell-tale signs to help protect your hard-earned money. Which? has obtained two threatening automated messages from fraudsters purporting to be from the HMRC. We explain how this voicemail scam works, so you can spot it. Job seekers aged between 18 and 24 are most likely to be targeted by a scam, with victims losing around £4000 on average. Use our tips to avoid job scams. Don’t fall for this scam – read on to find out what to do if you receive an unsolicited call from a ‘security expert’ offering to fix your PC. The National Cyber Security Centre have stated that HMRC is the most spoofed government brand. Don’t be fooled by scam tax emails, calls, texts or social media messages pretending to be from HMRC. Our guide explains how social media scams work and shares our top six tips for protecting yourself from the scammers. If you’ve received a warning email from your Internet provider (ISP), use our guide to learn more and safeguard yourself from scammers. Bitcoin or cryptocurrency scams have become increasingly prolific and vicious following the interest in digital currencies. Find out how to stay ahead of the scammers. Scam mail is sent for the sole intention of obtaining money through deception and/or fraud and is estimated to account for 70% of all losses from scams. Messaging scams can be very convincing, so it’s important to know what to watch out for to stay ahead of the fraudsters. Pension reforms will give the over-55s the freedom to cash in their pensions. Scammers will try to take advantage of confusion surrounding new pension options. Pyramid schemes are unsustainable businesses that require you to recruit other members to recover your joining fee. From fake accommodation listings to dodgy reviews, find out how to spot the signs that a holiday offer is too good to be true with our top tips. Use our top 10 tips to safeguard yourself from fraudsters using email scams to steal your information and money. Your card provider may have a set process for submitting a claim for a refund of a disputed transaction. If not then use the Which? template letter.